This spring, the Pennsylvania College of Art & Design’s Main Gallery is presenting a series highlighting scientific and technologically-inspired artwork. The next exhibition in the series is Creativity of Consciousness, March 17th- April 28th, which features the revolutionary work of artist China Blue and her team. China Blue will lead a panel discussion with collabotators Dr. Seth Horowitz, author of "Universal Sense: How Hearing Shapes the Mind," and coder Christopher Konopka on March 17 at noon. The presentation will be open to the public. First Friday Reception at PCA&D, Friday April 7, 5 – 8 p.m.
China Blue, based in Providence, Rhode Island, recently has been nominated to a two year Artist-in-Resident with the Norman Prince Neurosciences Institute at the Rhode Island Hospital. Her work is inspired by how our world is built from our sensations and perceptions. Her art works enhance the audience’s perceived world through her experimentation into brain wave monitoring and bioacoustics. This is the first presentation of the artist's neuroscience-based art which integrates all of her works while exploring the brain, mind, and society. 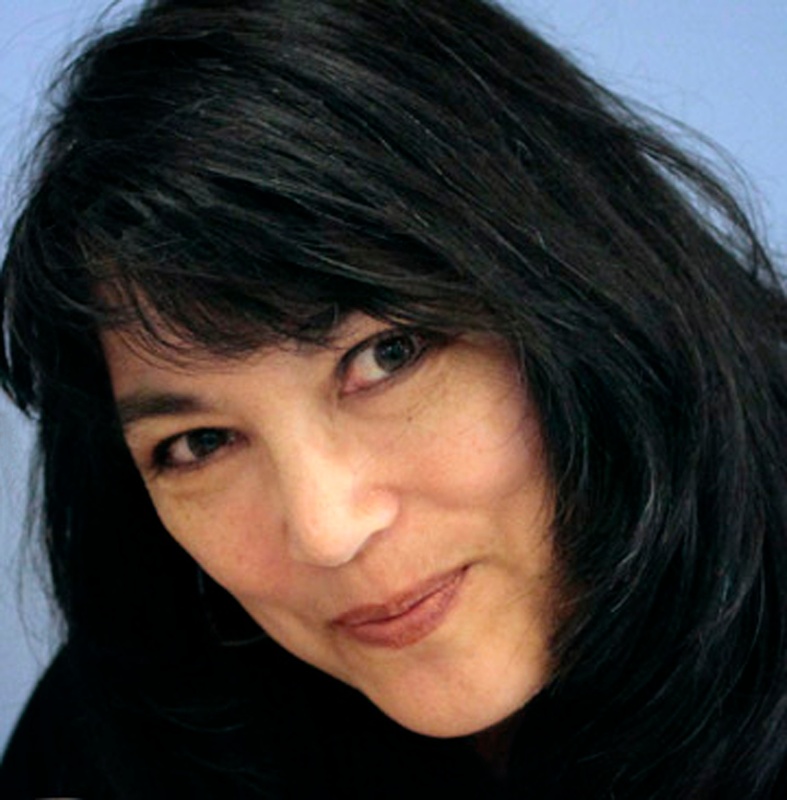 China Blue said, "Creativity of Consciousness is a pioneering exhibit that allows people to simultaneously explore both neuroscience concepts and human creativity." Creativity of Consciousness pioneers new access to cognitive and emotional domains. By using novel technology to read participants’ brainwaves, China Blue’s immersive art installations explore how we can alter our external reality through our internal mental states. The exhibit features three distinct sections: two interactive art works and a series of brainwave inspired paintings. 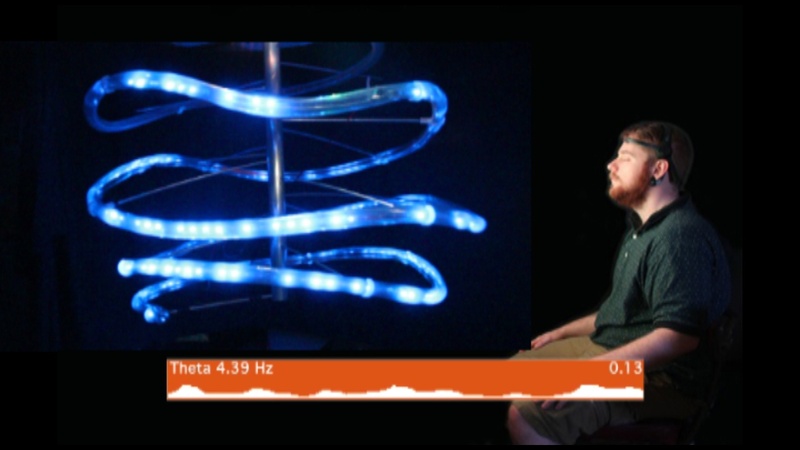 “Imagining Blue” is an interactive brainwave sculpture that responds to a participant’s mind by dynamically changing in light, motion and sound. 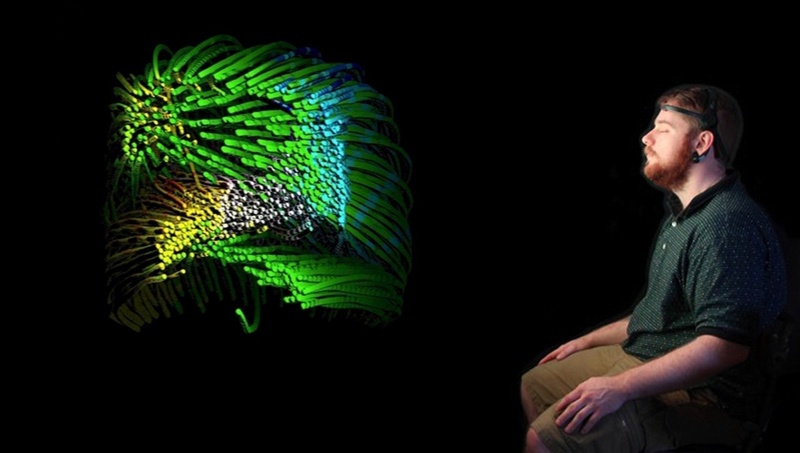 With this sculpture, users are able to observe their own current brain in action. This mesmerizing art work gives the audience previously unexplored and intimate views into the workings of their own brain. MindDraw is a real-time, interactive work that enables participants to create beautiful brain based images. By accessing their mental states of relaxation, meditation, focus or simple thought, participants drive the shape and speed of the projected imagery. “Memory Network” is a series of paintings that reflect how we may connect and hold on to our life experiences. Our recollections occur in fragments that arrive as flashes detached from time. Because memory is transient, these paintings propose a network as a method to connect and save our experiences. Based on the voids created by Alzheimer’s, the artist fills the empty spaces with aluminum-based paint, designing shiny globules and connects them to make stunning examples of one way to hold onto our thoughts and experiences. The Creativity of Consciousness will remain on display at PCA&D’s Main Gallery until April 28. For more information about China Blue's art, read articles published recently in Interalia Magazine and SciArt Magazine. Exhibits in PCA&D’s Main Gallery, curated by our gallery director, bring works by nationally and internationally recognized artists to Lancaster. The Gallery is located at 204 N. Prince Street, Lancaster, P.A. 17603. Gallery Hours are 8:30am – 8pm Mon- Fri. Saturday 9 am – 5 pm. The gallery is closed Sundays. For additional information please visit www.pcad.edu/gallery.